Rahul Gandhi has finally decided to hit the streets on the issue of petrol prices. Petrol prices in the last few months have sky-rocketed and are now ready to score a century. Petroleum prices always have a cascading effect on the economy but for reasons unknown, the Congress president was not enthused till today to give this issue some serious attention. 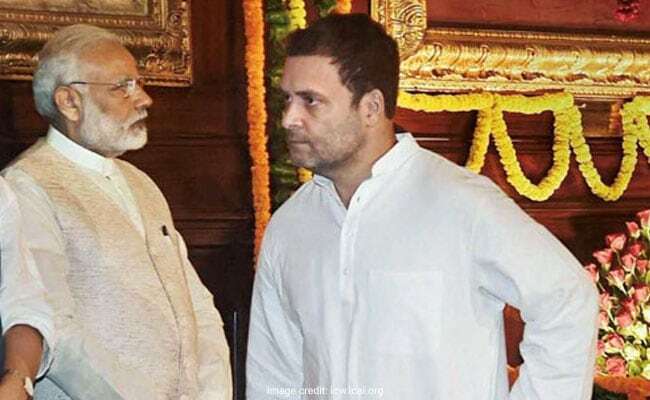 The 2019 elections are eight months away and in all likelihood, Modi will try to project it as a two-horse race between himself and Rahul as the challenger. There is an understanding in the saffron camp that this fight suits Modi and the Hindutva Brigade. It is argued within the RSS fold that Rahul isn't enough of a suitable boy to combat the charisma, energy, confidence, strategy and acumen and cunningness that Modi brings. And so Modi, despite a poor report card, will shine in comparison and people will be left with no option but to vote for him. 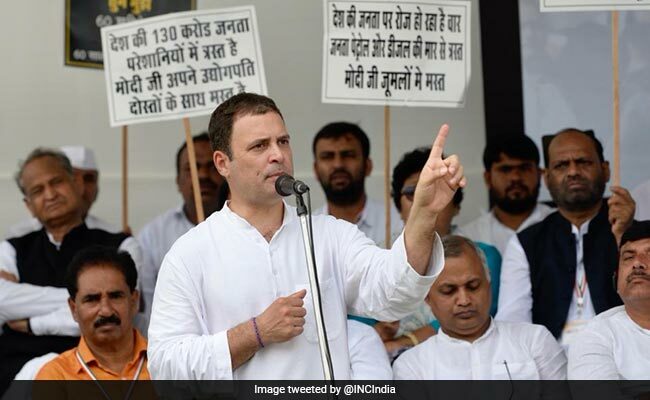 Sceptics also believe that a burst of Rahul Gandhi on TV screens is part of the scheme to ensure that no other strong leader from the opposition camp who is capable of overshadowing Modi gets a shot at the spotlight - so Modi's champu-media is deliberately giving him air space and trying to project Rahul as the prime ministerial candidate of a joint opposition. 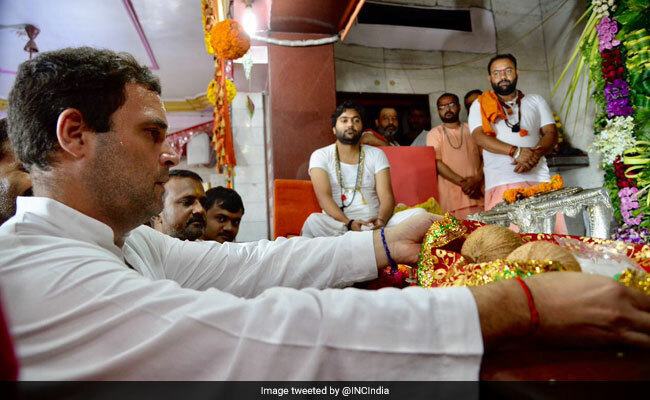 There is no doubt that Rahul since the Gujarat elections has been trying to change his image and narrative including with his temple-hopping. Visiting Mansarovar is an endeavour to get rid of the tag that Congress is a Muslim party and the Nehru-Gandhi family indulges in Muslim appeasement. But as of now, his attempt looks feeble. Nor does his name inspire the confidence that he can replace Modi as a competent, decisive and powerful leader. There is anger for sure against Modi and people are looking for an alternative. But Modi can be confident of the 'TINA' factor - There Is No Alternative - working in his favour. And for this, Rahul himself is to be blamed. Politics is about the right chemistry and arithmetic. Modi's unprecedented success lies in his unmatched talent to connect with the people. He speaks with them in a language that resonates but the same can't be said about Rahul. He is not a natural with crowds. He also does not feel comfortable in the company of senior leaders of opposition; in fact, even within his own team, he is decidedly not at ease with seniors who worked closely with his mother. But a bigger failing than his chemistry is his math. The Congress has to stitch alliances with regional parties. The index of opposition unity will play a very important role if a robust fight is planned to unseat Modi and dislodge the BJP. But as of now, strategic coherence is lacking. Different leaders are talking in different tones. The opposition seems to have failed in presenting an alternative narrative and structure to Modi. In 1989 and 1996, the opposition moved faster. It had many stalwarts. If in 1989, Devi Lal, L K Advani, Jyoti Basu and NTR played a pivotal role, then in 1996, Harkishan Singh Surjeet andChandrababu Naidu were the moving force. Similarly, Surjeet was equally influential in 2004's post-poll alliances. Now, Rahul has to take up that role. He is the leader of the biggest party and it is his responsibility to talk to everybody, keep them in loop about every development and future planning. But that is not the case. Sharad Pawar and Mamata Banerjee are active but don't seem to be coordinating with Rahul, whose own team looks clueless as it tweets photos from foreign countries rather than focusing on relationship-building at home. Uttar Pradesh is extremely crucial. 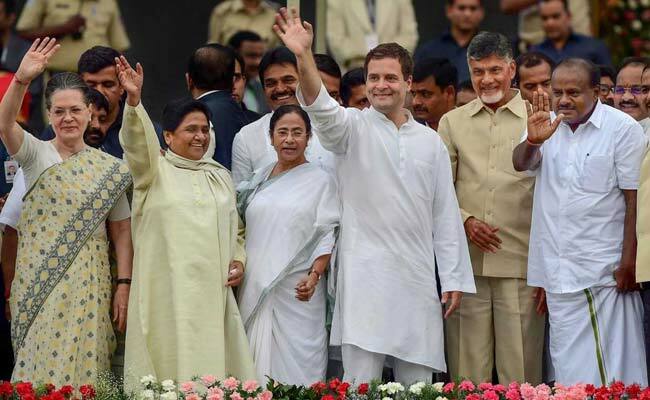 The by-elections in Gorakhpur, Phulpur and Kairana have proved beyond doubt that if Mayawati, Akhilesh Yadav and Rahul decide to fight together, Modi will be stopped. There are media reports that Mayawati and Akhilesh are talking to each other and they might forge an alliance but nothing concrete has happened yet. 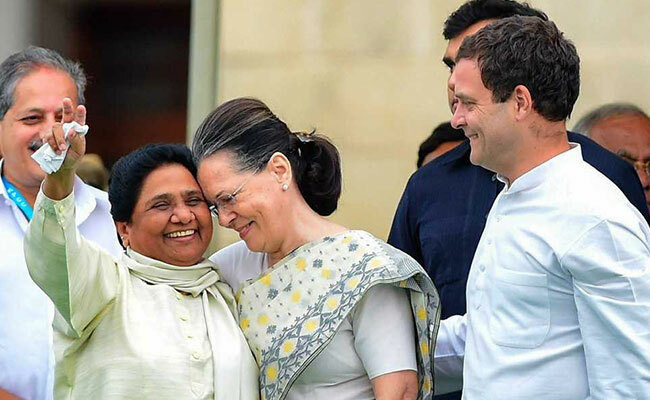 By now, Rahul should have been instrumental in bringing them together on a common and killing any rumour that Mayawati is drifting towards BJP due to the pressure of investigating agencies. In Madhya Pradesh, Rajasthan and Chhattisgarh, elections can be announced any minute. Data shows that in 2003, 2008, 2013 assembly elections, the combined vote percentage of the Congress and BSP beats that of the BJP. So if these two parties come together, the BJP could be defeated. Mayawati seems eager but the same urgency is not seen at Rahul's front. If he has to make compromises in terms of seat-sharing, then he should do so for the larger goal. Similarly, whether Rahul likes it or not, AAP is the dominant party in Delhi. It has occupied the space which once was unquestionably the Congress's. If AAP and Congress decide to come together in the national capital, they can win all seven Lok Sabha seats. The alliance could be equally productive in Punjab where AAP is the main opposition party. Despite the factionalism in AAP in Punjab, the Congress should ignore it at its own peril. Punjab and Delhi together have 20 seats. At a time when every seat counts, 20 seats can prove to be huge in making or breaking a government in 2019. But Rahul seems to be governed by the whims of local leaders who have ulterior motives in keeping AAP away from Congress. 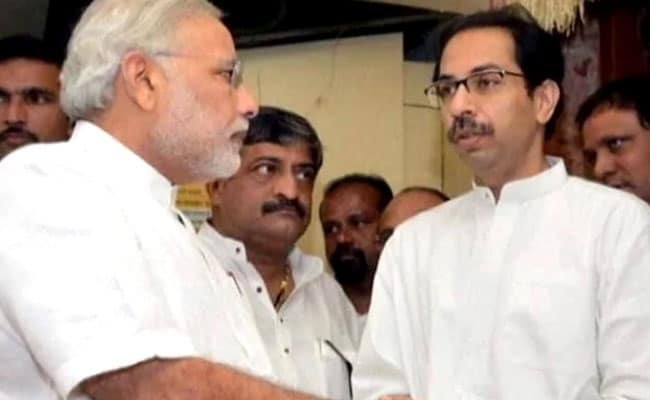 In Maharashtra, Shiv Sena has been the biggest critic of Modi since he became Prime Minister. The Sena should have been lured into breaking away by now to join the combined opposition. But the Congress is worried that this might annoy Muslims voters. Rahul has forgotten that to defeat his father, Rajiv Gandhi, the CPM-CPI and BJP decided to take the same path. V P Singh's government was supported by both the BJP and the Left. Why can't Rahul find a way to rope in the Shiv Sena? Rahul should not forget that no other member of the Nehru-Gandhi family has gone through such a deep crisis. Indira had suffered during the Janta regime but if the Congress does not gain substantially on its paltry 44 Lok Sabha seats, Rahul could be well on his way to political irrelevance except within the Congress. It's time for him to show the will for battle and nerves of steel.